Are Chameleons Good Pets For Children? 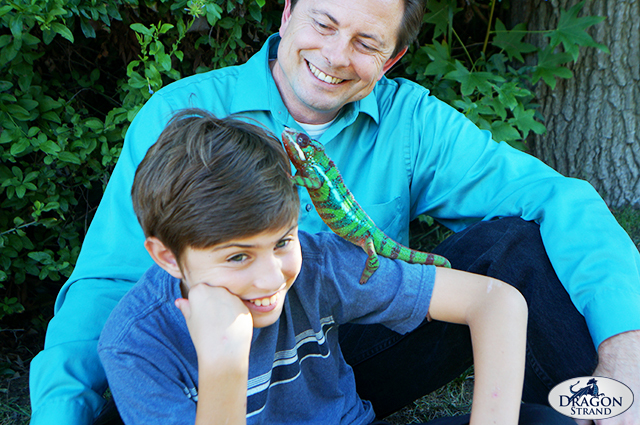 At shows we often hear the question “are chameleons good pets for kids”. There are two parts to this question. The first is whether the chameleon is a good pet for kids and the second is if kids are good for the chameleon. Are Chameleons Safe Pets For Kids? The first question parents rightfully ask is what are the dangers to the child of putting chameleons and kids together. Disease and biting are top of the list of concerns. With chameleons these are not major issues, but they do need to be addressed. Disease. 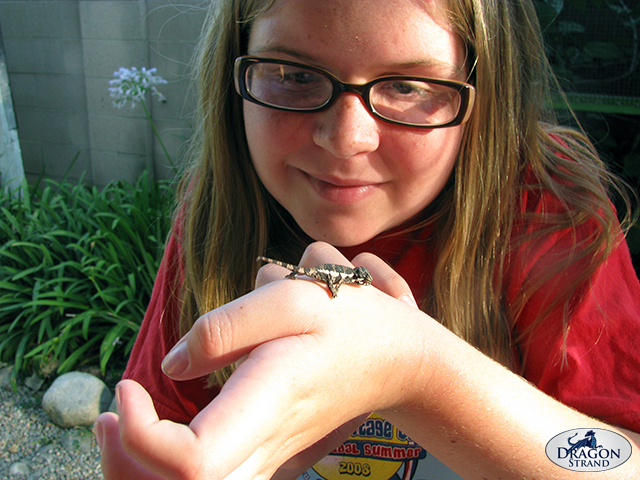 Both children and adults should wash their hands thoroughly after handling any reptile. This should be non-negotiable and done automatically. I have yet to see a chameleon be identified as the transfer of disease to a human. But they are reptiles and you have to treat every reptile as if it has salmonella or other dangerous bacteria. Set up proper hygiene habits and stay safe. Biting. Most chameleons aren’t aggressive. Chameleons are much more interested in getting away if they are nervous. But there are enough individuals with nasty dispositions that it is important you check out the chameleon’s personality before you bring it home. A bite from a baby chameleon is just a pinch and the surprise of it is the greatest damage. You, as the parent, need to be more concerned about the safety of the chameleon so it is not flung across the room! A bite from an adult, though, can easily break skin. Chameleons do have teeth and pretty good jaw strength. Do not grab a chameleon from above. This brings out a natural defense response which could include biting. Allow a chameleon to perch on your hand and transfer the chameleon between people by bringing your hand up underneath and coaxing the chameleon to step of its own choice. If a chameleon is gaping or showing an open mouth do not bring it out of its cage and definitely do not give it to anyone who is not experienced with chameleons. Don’t give the chameleon a reason to bite. Rough play, quick movements, and lack of respect for a chameleon’s comfort level are all ways that a chameleon will not feel safe. Biting comes from a feeling of danger. If a chameleon grows up in an environment that is calm, slow, and predictable then there will be no reason for it to develop a biting habit. Your job is to ensure that the interaction between your child and the chameleon is appropriate. Highly active or easily excitable children are poor combinations with the chameleon’s slow moving lifestyle. Quick and unpredictable movements are characteristics of both predators of chameleons and young children. This will not be a good mix. It will be up to you to make the decision as to when the environment is right for a chameleon to join your home. Can My Kids Hold or Pet a Chameleon? Once it is established that the chameleon is safe for the child, the next question is if the chameleon can be held. Chameleons are not typically much for being held or receiving affection. Touch means something completely different to a chameleon than it does to us. Many chameleons will be calm perching on your child’s hand, but touching or petting often crosses the line. In addition, the chameleon, whose security is in height, will tend to climb up towards the highest point. On both kids and adults it is the top of their heads. 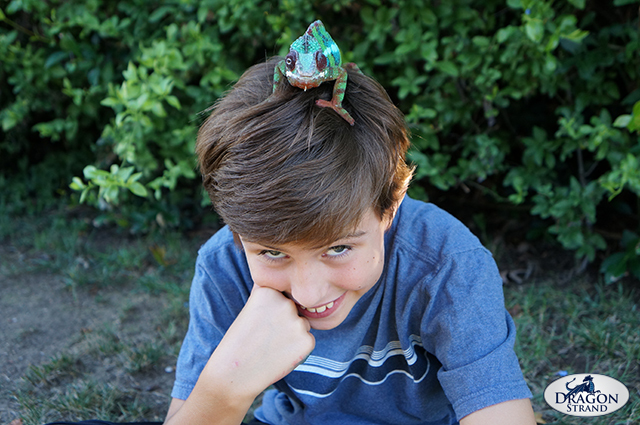 Some kids think it is funny when the chameleon crawls up their arm and climbs onto their head. Other kids freak out when this dinosaur charges up their arm towards their face. The bottom line is that chameleons are a great pet to watch. They just don’t do much in the way of interaction when handled. If frequent handling, touching, and cuddling are an important part of the pet experience then another animal really would be more appropriate. So what can Kids and Chameleons do? Chameleons excel as a pet for the child that is curious about the world. They will be nose to nose with a wonderfully bizarre creature. A chameleon is an endless source of discovery. I actually learned about the importance of vitamins and minerals in the human body because I was learning how to take care of my chameleon! Your journey of discovery will start at learning how a creature in the trees lives and lead you through etymology (study of insects), nutrition, craft construction, medicine, and parasitology. You know you have stepped into a whole new world of experience when you start your walking stick breeding project to give your chameleons a treat! The incredible eating method by shooting out their tongue and the amazing color change are just the tip of the ice berg in your chameleon keeping experience. Are Kids Good For Chameleons? As for the second part regarding whether the chameleon is an appropriate pet for kids that actually depends greatly on the parents. In the past I would run down a question list to determine whether the child was old or responsible enough. I now feel much better with replying with “Chameleons are great for kids, but not for teaching responsibility.” I am then able to enter into a conversation about what it takes to keep a chameleon and remove the child from the equation. The bottom line is that a chameleon, like any other pet, will enrich a child’s life and introduce that child to a world of wonder. The parent’s part in this is to take full responsibility for the care of the pet. I am not against using a pet to teach a child how to manage their time, schedule care, and contribute to something they value. The way it should be done, though, is for the parent to actively verify that everything is being carried out properly and be willing to step in on a daily basis to ensure proper care is given. An animal should not suffer to teach a life skill. Each child will have a different level of maturity and responsibility. That will change with experience, understanding, and age. The parent can scale back their involvement as appropriate. I engage the parent who has asked the question to measure their understanding of the commitment to the specialized care. It is wonderful to see a parent as excited as the child. If they understand the care and cost requirements I feel good that this will be a positive experience all around. But if the parent balks at taking care of the animal themselves I know that this is a situation where I should be discouraging the idea. 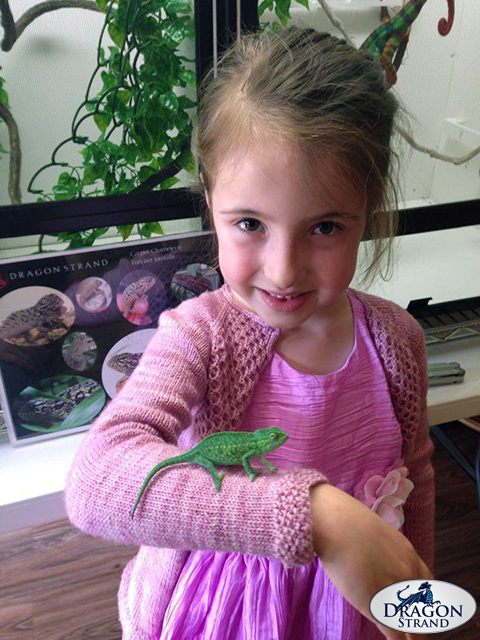 If you are a parent and have been tempted to get your kids a pet chameleon or are just wondering if you should give in to their requests, I will say that it will be a rich and rewarding experience for you both as long as you are on the same journey and you are both acting in your appropriate roles. Their role is to soak up diverse life experiences as they grow up and your role is to be by their side enjoying the world renewed through their eyes – and gently guiding them along the way. Chameleons are a demanding animal, but few other animals are so incredible. If you are right there with them in this adventure then, yes, chameleons are great pets for kids.